Hecho en Socialismo – the false news of Bolivia banning Coca Cola | rubybeanx. I usually keep this blog pretty delicious and light hearted, but I recently read an article that got me kinda riled up. Bolivia’s foreign minister David Choquehuanca recently suggested in a speech that the new cycle of the Mayan calendar on the 21st of December ought to see the abolishment of Coca Cola in his country. Annoyingly, the media took this quote out of context and ran with it, despite no formal announcement of such a ban happening. News outlets such as Forbes reported that Bolivia was going to ban Coca Cola as the symbolic end to capitalism. Amazingly, the false piece of news has since been recycled through other usually respectable avenues such as SBS and The Huffington Post. The Forbes article went on to compare Bolivia’s anti-capitalist suggestion to Venezuela’s bid to nationalise energy, water and food industries. It is all easy and good for the western idealist to say “yay stick it to the man!” and “yay power to the people!” such as those readers of blog site White Wolf Pack. What the Forbes article neglects to mention is that Venezuela is suffering a severe energy, water and food crisis as a result from said nationalisation, making the comparison of Bolivia to Venezuela a rather poor example. When I visited Venezuela in December 2011, the country was experiencing rolling black outs, there was often no water to flush toilets, and food stuffs such as cooking oil and coffee were traded on the black market. And its citizens didn’t seem to happy either with high unemployment and rampant crime. 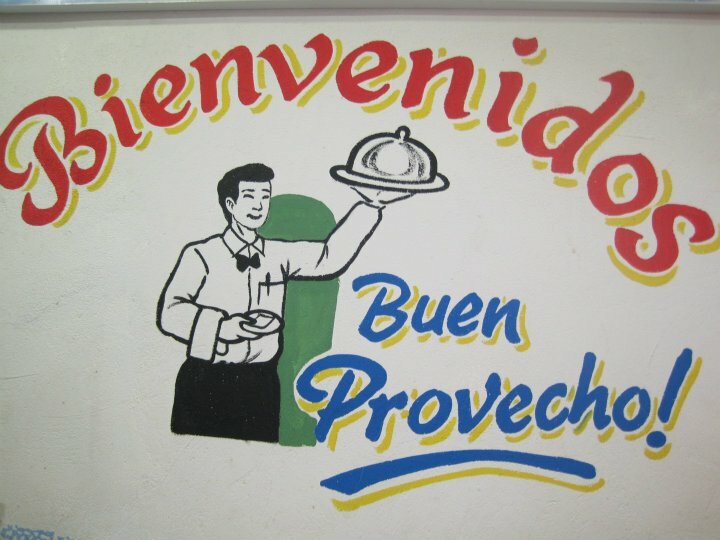 How does this relate to a travelling food blog? Well, a shortage of food is certainly of concern to a travelling foodie isn’t it? Ok, so how is this relevant to the wider “us”? It is not a question of left or right wing politics. And yes, Bolivia and Venezuela does seem so far away to most of us to care about. The point is, that food and food supply does matter and it matters on a global scale. What we should also be concerned about is the media’s role in getting food from raw form to our mouths, which is something that is easily underestimated. Right across the world, the media plays a huge part in telling us what to eat. In the case of Bolivia and Venezuela, their governments have gone to great lengths to market the idea of communistarism and starting right off with what people eat and drink. 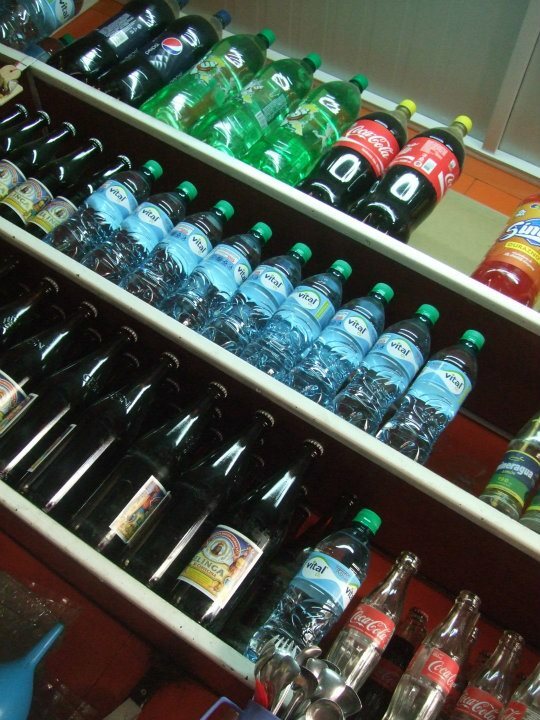 In Venezuela, its population is encouraged to drink beverages produced by state-owned companies. The drinks are proudly marked with a red love heart saying “hecho en socialismo!” which means “made in socialism”, to market the love and loyalty for ones country when purchasing a locally made product. The Venezuelan president Hugo Chavez has made great use of the media to tell his people to choose state owned products over those of Pepsi or Coca Cola. 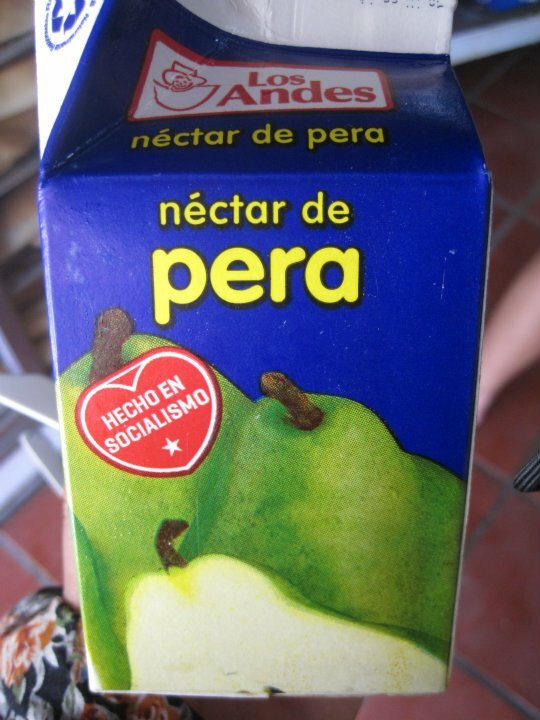 “Hecho en Socialismo!” heart on my pear juice. There are so many questions raised from this story. Who gets to choose what access we have to food? Should governments have the right to say what we can and cannot eat? Is banning certain brands an act of protecting national health or an act of censorship? In Australia, it is often more economically viable to export locally grown produce and import food items through other countries. The detriment is that it is a highly inefficient process and with a growing population increasingly unsustainable. So, therefore would Bolivia and Venezuela’s desire for locally produced soft drinks be in the long term better for their economy? Or will their current flailing economy be too much suffering to reach the end result? The news story of Bolivia banning Coke was reported to us incorrectly, but judging by the number of comments received by each news outlet who posted the story, how many people have read it and drawn an immediate opinion based on a lacklustre background information provided by the writers? We must question the news when it comes to our food, whether it be soft drinks, apples, McDonalds or potatoes. And the question of food supply – even of the most distant countries to our own – still remain relevant and should be of concern to us all. Tags: government, media, social responsibility, supply. Bookmark the permalink.